Bayonne | Scuffalong: Genealogy. Bayonne – Scuffalong: Genealogy. 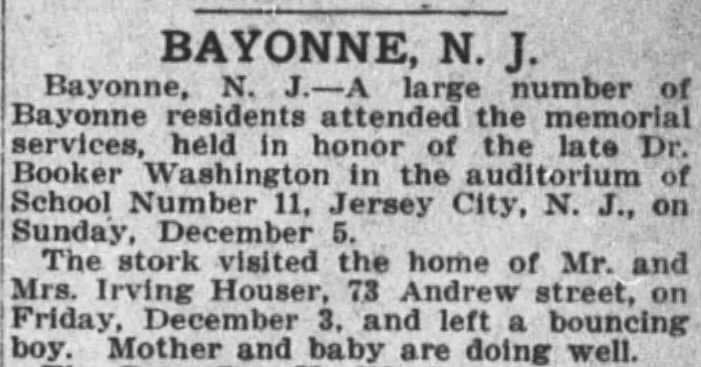 Exactly 100 years ago today, Miss Viola Houser visited her brother and his wife, Irving and Emma McNeely Houser, in Bayonne, New Jersey. New York Age, 21 October 1915. Speaking of Ardeanur … Here’s what I know about her. Ardeanur R. Smith was born 8 February 1903 in Statesville, North Carolina, to Daniel and Addie Lucinda McNeely Smith. Her brother James Garfield Smith was born four years later. I have not found the family in the 1910 federal population schedule, and the family had fallen apart before the census taker next came round. As revealed in the estate file of Ardeanur’s great-uncle Julius McNeely, Addie McNeely Smith died in early 1917. 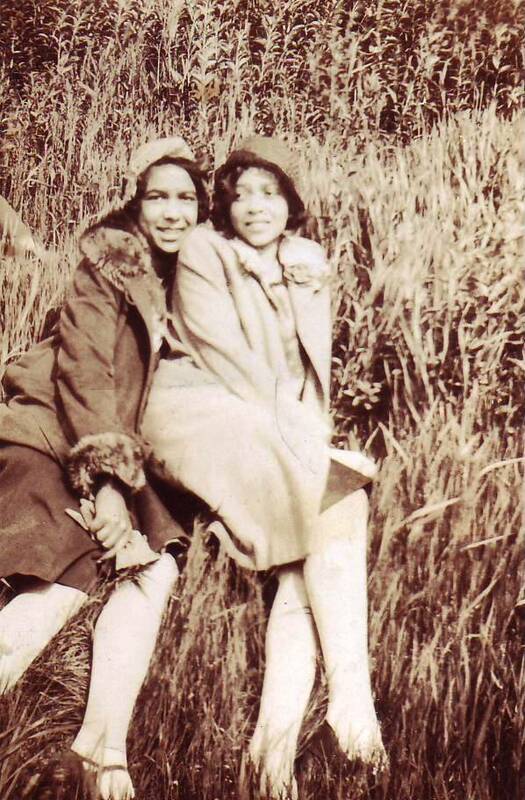 Her mother’s family, and in particular, her younger sister Minnie B. McNeely, took responsibility for the children. 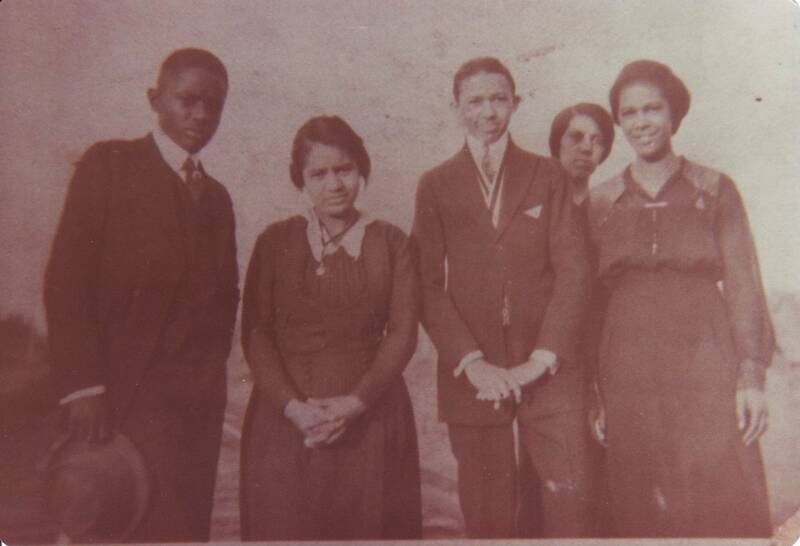 A Murphy, Bertha Hart, Alonzo Lord, Minnie McNeely, Ardeanur Smith, Statesville, mid-1920s. Whether in Salisbury or Statesville, Ardeanur did not have much longer for small town North Carolina. Sometime mid-decade, she joined the tide of black Southerners flowing North, setting her bags ashore in Bayonne, New Jersey. Though many McNeelys would follow, at that time only her aunt Emma McNeely Houser was there, and it is likely that Ardeanur lived initially with her family. 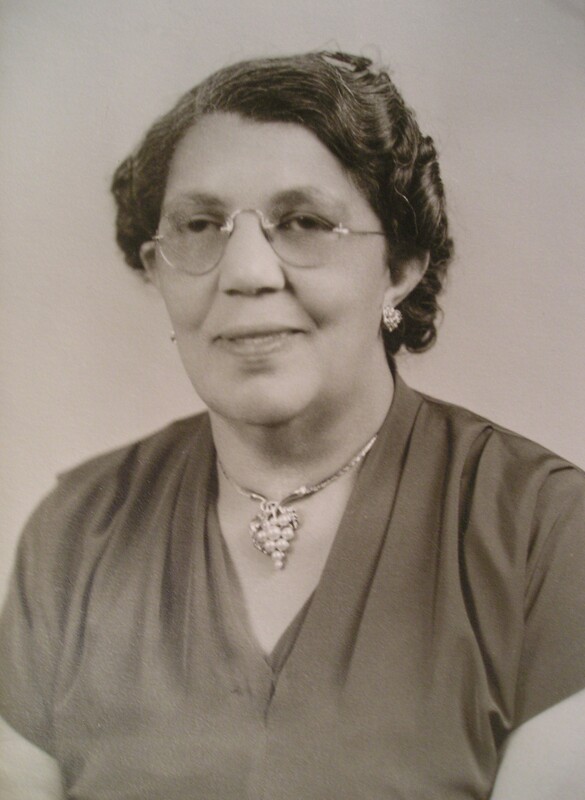 She joined the Housers’ church, Wallace Temple A.M.E. Zion, and began to develop her gifts. By June 1928, she was taking elocution lessons in New York City and in 1929 sang in a program in honor of United States Congressman Oscar DePriest. Even as she dreamed, though, Ardeanur had to make a living. In 1928, she lived at 115 Davis Avenue in the West New Brighton neighborhood of Staten Island, just across the Kill Van Kull from Bayonne. She undoubtedly worked as a live-in servant to William G. Willcox, a Tuskegee Institute board member whose wife Mary Gay Willcox was descended from a prominent abolitionist family. 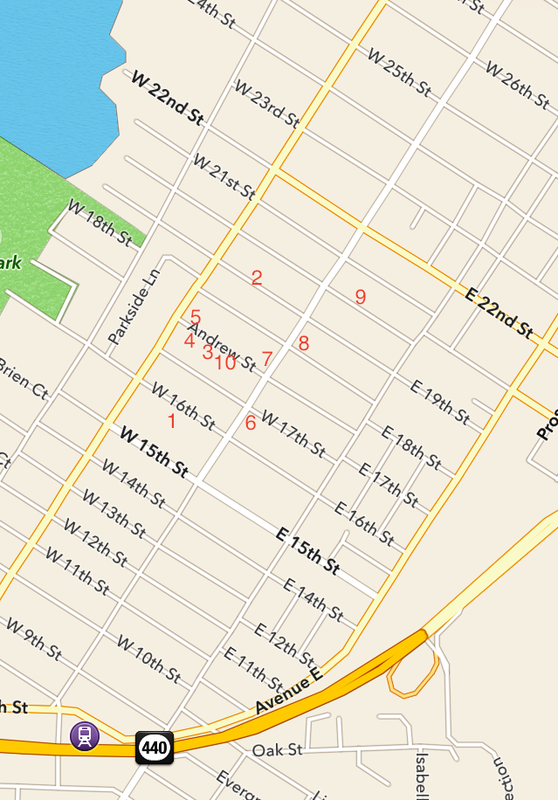 (In fact, the Gay house at 115 Davis is believed to have been an important station on the Underground Railroad.) By 1930, when the census taker came around, Ardeanur Smith, 25, shared a $50/month apartment with Mary Snowden at at 2014 Seventh Avenue (now Adam Clayton Powell Boulevard) in Harlem. Both worked as housemaids for private families, and both were reported as South Carolina-born. Ardeanur seems still to have been living in New York three years later when she, her aunt Minnie and first cousin Charles McNeely accompanied the body of Charles’ brother Irving McNeely Weaver to Iredell County for burial. I’m not sure where Ardeanur was in 1940. Her name does not appear in enumerations of New Jersey or New York. Ninety miles south, however, a census taker in Philadelphia, Pennsylvania, recorded North Carolina-born “Ardinia” Smith, age 40, living in a boarding house at 1710 West Fontain (just west of Temple University) and performing domestic work. Was this Ardeanur? When James G. Smith died in 1960 in High Point, North Carolina, Ardeanur, living in Jersey City, New Jersey, provided personal information for his death certificate. 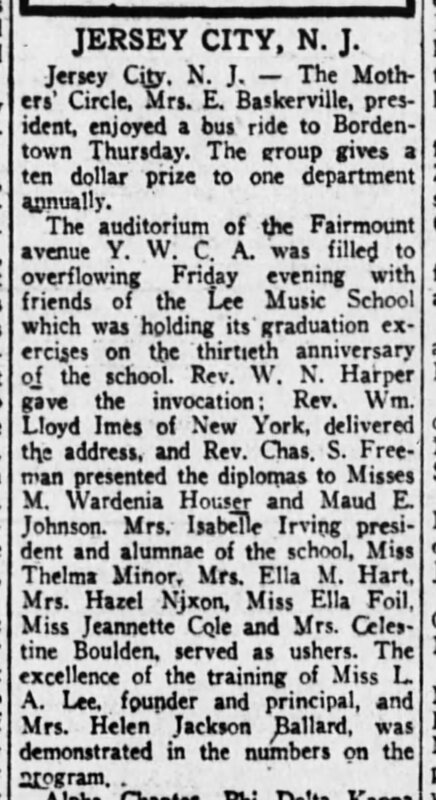 We get another glimpse of her in May 1961, when a brief entry in the church calendar feature of the Jersey Journal noted a recital at Lafayette Presbyterian Church, Summit Avenue and Ivy Place in Jersey City, featuring Mrs. Ardeanur Hart, soprano, and Mrs. James Spaights, pianist. I have no record of any job Ardeanur held other than domestic, though such her style and bearing do not square with my naive (and classist) vision of what service workers look like. In the 1970s or so, she moved out to Columbus, Ohio, to live with and look after the last of her aunts, Minnie McNeely Hargrove. Ardeanur Smith Hart died 14 January 1996 in Columbus. 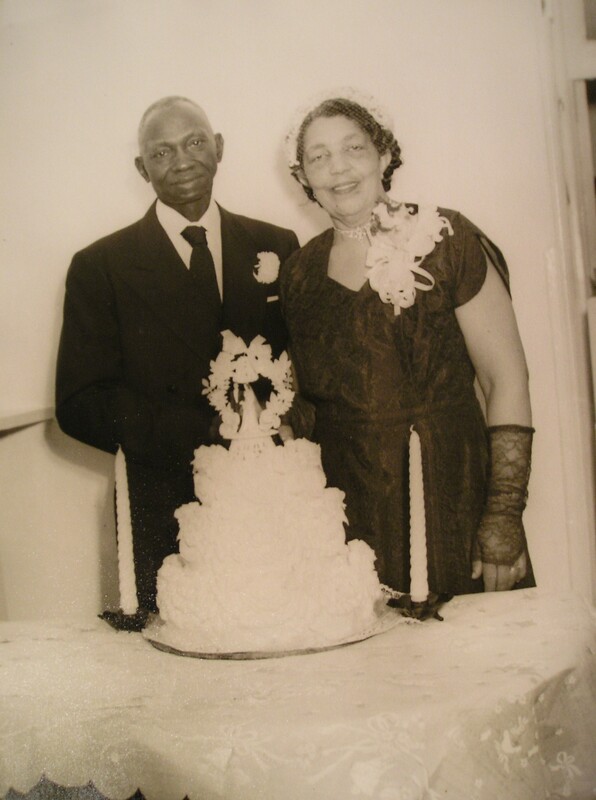 **30 August 2015: Mystery no more: Ardeanur married Frank Wellington Hart of Jamaica. Pittsburgh Courier, 2 June 1928. (1) Ardeanur R. Smith? This is the first I’ve seen of a middle initial for Cousin Ardeanur. (2) Smith? My grandmother said Ardeanur married somebody she ran off with when she was a teenager. However, every mention of her I’ve found dating before 1947 — and she is elusive in official records — names her as Smith, her maiden name. In her uncle John McNeely’s 1947 obituary, she’s a Hart for the first time. I have no idea what Mr. Hart’s first name was, where they married, or how long they stayed that way. (3) Elocution? This may absolutely be a function of me failing to ask the right questions, but, as much as I heard about Wardenur playing the organ on the radio, I never heard my grandmother speak of Ardeanur’s singing or speaking career. 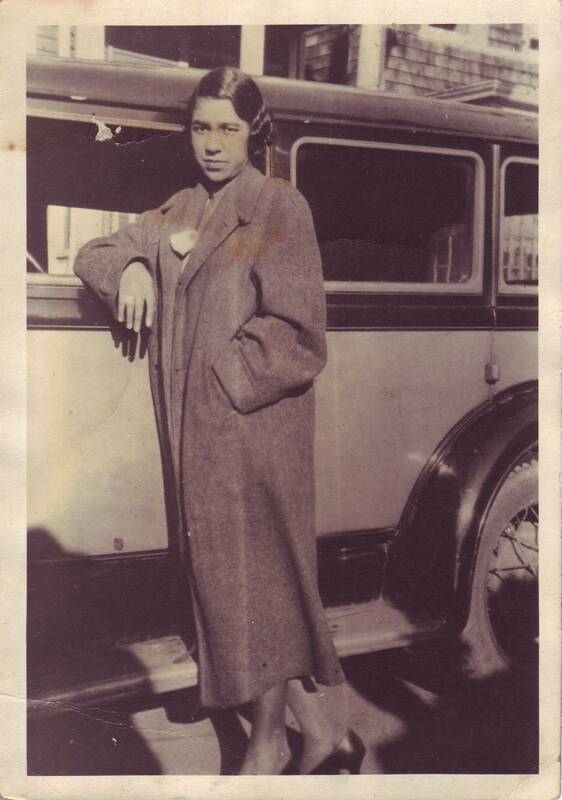 (4) And who was Ardeanur’s publicist that he or she managed to get her name and photo in the Pittsburgh Courier? And not for the last time. (6) “Where a balcony fell at the closing session”?!?!? But there was Aunt Minnie, and then after Aunt Lethea died, Aunt Lethea told her to take care of me, and she just took me on, you know. And she was always crazy about me. The first percale sheets that I ever had Aunt Minnie sent them to me, and I never bought anything but percale sheets. Boy, they were just so luxurious and so nice and everything. Jay stayed with Aunt Min ‘cause Aunt Min reared him after Aunt Lethea died. And he was at this same house with Aunt Minnie and Grandma. Let’s see. It was Aunt Min and Grandma and Uncle Luther and Jay and I. We were all in the same house during the summer that I worked up there. Ardeanur. And she had a brother named James. And their mother died when they were little children, and Min reared them. Reared the children. Aunt Minnie, who had no children of her own, reared everyone’s. When her sister Addie McNeely Smith died in 1917, Minnie took responsibility for her children, Ardeanur and James. 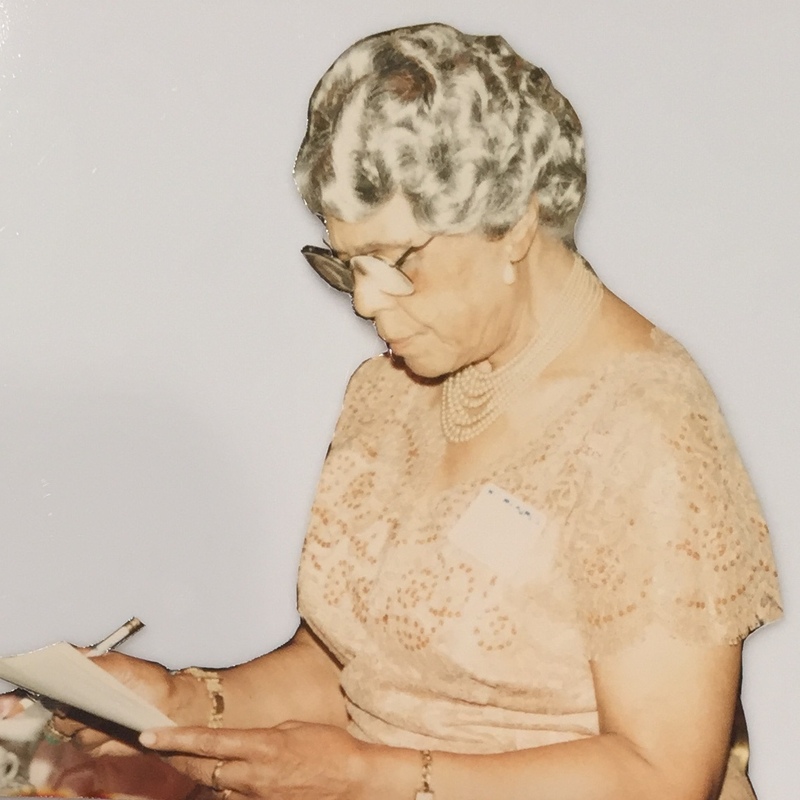 When sister Elethea McNeely Weaver died five years later, Minnie stepped in to care for her youngest boy, 11 year-old Irving “Jay” Weaver, and promised to keep an eye on Lethea’s favorite niece, my grandmother. Aunt Min shared a home with her mother Martha Miller McNeely in Bayonne, New Jersey, and after her mother’s death, she and Ardeanur moved to Columbus, Ohio, to live near another sister, Janie McNeely Taylor. She was in her fifties when she defied her disapproving family and married John Hargrove. He did not live long to plague her, though, and in a reversal of roles, she spent her last years with Ardeanur. Minnie Beulah McNeely Hargrove died 2 December 1982 in Columbus. She was 93 years old. Above: Minnie hovering behind her flock. From left, a Murphy boy, Bertha Hart Murdock, Bertha’s cousin Alonzo Lord, Aunt Minnie, and Ardeanur Hart Smith, Statesville, circa 1920. 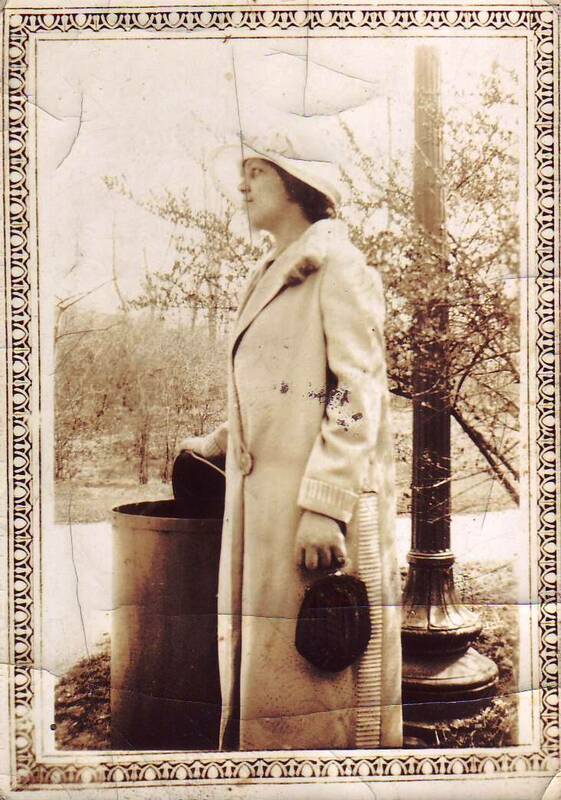 Minnie in Bayonne, perhaps the late 1920s. Minnie in later years, Columbus, Ohio. Aunt Min marries John Hargrove, Columbus, early 1950s. 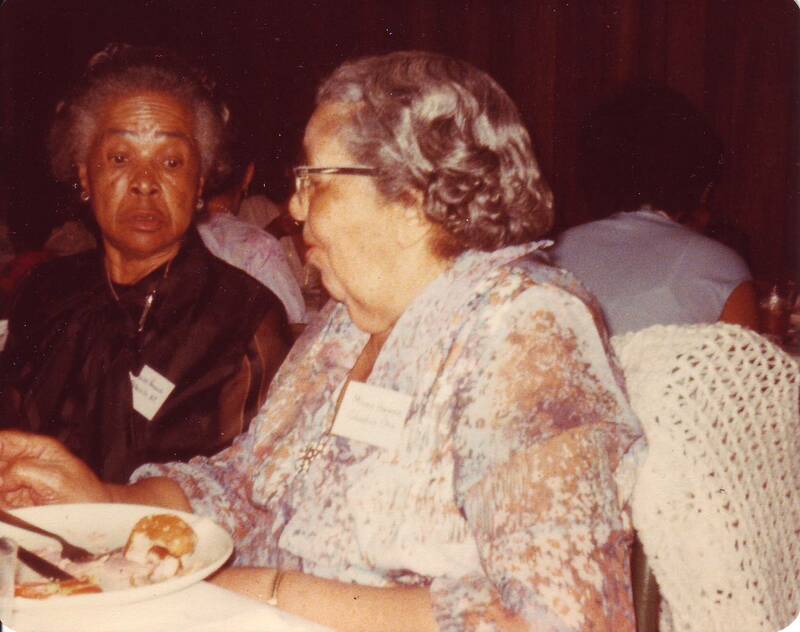 Minnie McNeely Hargrove at the 1980 Colvert-McNeely family reunion, Newport News, Virginia. I was not there. At the time, I was too callow to know what I was missing. Today, I kick myself. I never met her. New York Age, 9 December 1915. Remembering Henry A. Houser, born this day in 1915. Wardenur was a pianist, and played an organ for WOR radio station in Jersey City. In Jersey somewhere. Honey, she was — girl, she could play the piano. And she played this organ, you know, they would have plays and have organ music, and she did that for them. She could play. And when I was up there one time, I went with her to take her piano lessons, and the lady said, ah, “What – you do play the piano or organ?” I said, “No, ma’am, I don’t….” Look like she looked at me like she thought I was about the worst she had ever seen. [Laughs.] And her father made her take piano lessons. And the teacher graded her, and if she got anything below a B, her father would punish her severely. But, honey, she could play a piano and organ. She was good. But she took TB and died. She was lovely — Wardenur. She was about 15 here, palling about with my grandmother, her older cousin, vying for the attention of the college boys mooning about them that summer in Bayonne. New York Age, 21 June 1930. Wardenur graduated from the Lee Music School a couple of summers later and in February 1931 finished Bayonne High School. A few years after that, her elopement was reported in the Age. 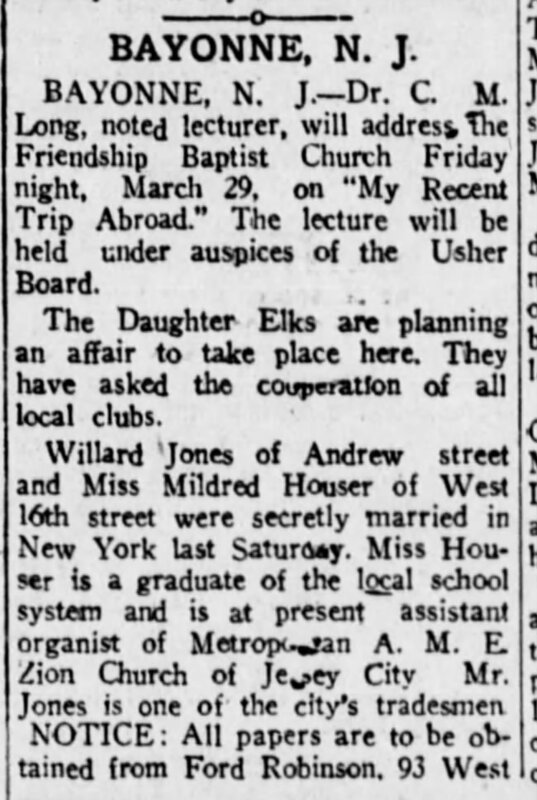 New York Age, 16 March 1935. P.S. The taskmaster piano teacher was probably the inimitable Miss L.A. Lee of 100 Kearney Avenue, Jersey City, who, according to the Age, opened her well-regarded music school in 1907. Interview of Margaret C. Allen by Lisa Y. Henderson, all rights reserved. Photographs in collection of Lisa Y. Henderson.